A series of weeklong retreats featuring outstanding programs for the whole family. 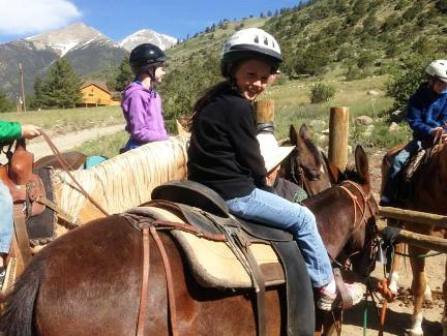 The cornerstone of Spring Canyon programs, Summer Celebration is a series of weeklong retreats featuring outstanding programs for the whole family. Enabling families to leave behind the weight of deployments, separations and relocations, husbands and wives are able to reconnect in a romantic setting through time together, vibrant teaching and small group sessions led by respected speakers. Teens and children have the opportunity to grow in their faith and build lasting friendships through exciting age-appropriate adventures under the guidance of our exceptional teaching staff. Each celebration features a different speaker and theme focusing on relevant spiritual topics, family and faith. Delicious home-cooked meals served family-style in our historic Hartley Holmes Lodge three times daily. Lodge & cabin accommodations with wood-burning fireplaces & gorgeous mountain views for seven nights. Walking access to the Colorado Trail, scenic Cottonwood Lake, our very own beaver ponds & more. Discount passes to local attractions & a variety of outdoor activities. Exciting, age-appropriate programs for children & teens with Biblically-sound curriculum. Outstanding seasonal & full-time staff members devoted to serving you. Vibrant teaching & small group discussions for adults. Our children’s program, Critter Gulch, features wilderness-based educational activities rooted in Biblical truth. We hire incredible young teachers from across the country each summer and strive for a teacher-child ratio of 1:5 at all times. All teachers must be CPR and First Aid certified. Children are grouped by ages (0-2, 3-5, 6-8, 9-12) and activities include arts and crafts, exploring God’s creation, archery, horseback riding, fishing, and indoor rock climbing. The teen program at Spring Canyon, Teen vs. Wild, is intended for ages 13-18 and features Biblical discussions, exciting group activities, team challenges, and outdoor adventures. The teen program leaders are selected from members of our outdoor programs guide staff and are CPR and Wilderness First Aid certified. 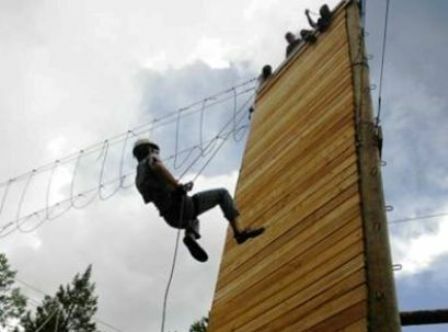 Teen activities include team building, wilderness fort creation, high ropes course, overnight camping and more. 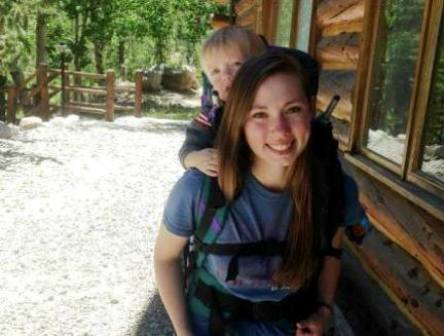 Additional childcare is available by request during your stay at Spring Canyon. Childcare is provided by our seasonal teaching staff and can be scheduled at our main office in Hartley Holmes Lodge. We kindly ask that all childcare requests be made a minimum of 24 hours in advance for scheduling purposes. Childcare is offered at an additional cost. For full weeks, please call our reservations desk to be placed on a waiting list! A non-refundable deposit is charged at the time of registration to secure your reservation. This advanced deposit allows us to meet early program expenses including speaker travel, seasonal staff salaries and teaching materials. This one-time payment of $165 is applied toward your final bill and is not an additional fee. As a non-profit, it is always our goal to provide modest rates for all of our guests. We know that traveling as a family can be expensive, and that cost can still be a deterrent for many of our families. Thanks to generous sponsors, discounts are available for families that qualify. Please call (719)395.2328 to inquire. Reservations may be cancelled at any time. Cancellations made before 31 days prior to arrival will be eligible for a full refund minus the $165 non-refundable deposit. If a cancellation occurs within 30 days of your stay, additional penalties may apply. If you are cancelling due to military orders, the non-refundable deposit and any subsequent payments will be returned in full. A 10% discount is available for company grade officers (O1-O3). A 20% discount is available for enlisted members, midshipmen, cadets and other military undergraduate students. An additional 5% discount is available for families of currently deployed or recently-returned (within 6 months) service members. There is a maximum of 20% discount when combining available discounts. A special program is available for widows of service members through OCF. Activities are optional and may involve additional fees.